Well, this post is a tutorial to how use a plugin that I developed for a events calendar in a Brazilian government website called Funarte, a full wordpress news portal. 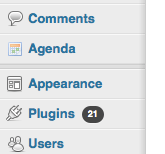 The wordpress agenda plugin can be found in my Github, and in the wordpress plugin directory. 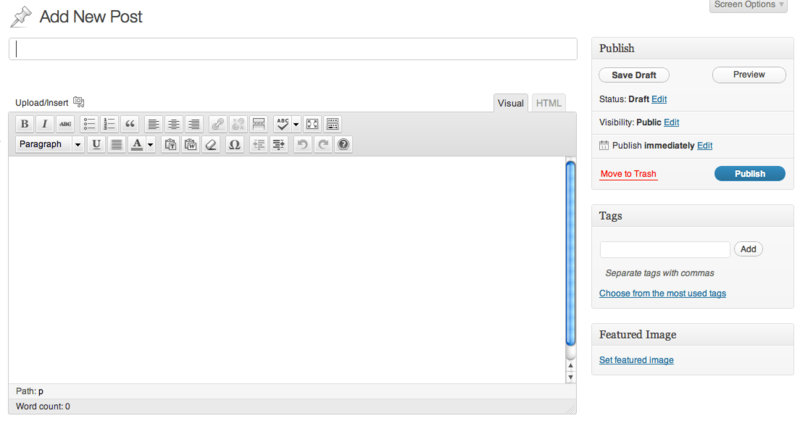 I will show a real world example to use the wp-agenda plugin to easy build a agenda for a band. I will book a show for 15 june and will show all the steps to use the plugin correctly. The easy way to install a wordpress plugin is install directly in the Plugins section > add new. Depending of your wordpress instalation (I use dreamhost that is very flexible to install plugin and themes directly from the admin panel). Just search for wp-agenda and click install now. Thank god to the new wordpress api, that now it’s possible to have custom post type, and it is exactly what happen, now you have a post type event, that you can manage as a post, but you can deal with it as event type with his own specialities. Now, just go to the url of your blog with a query string, like gandhifica.com/?agenda and you can have a events calendar. 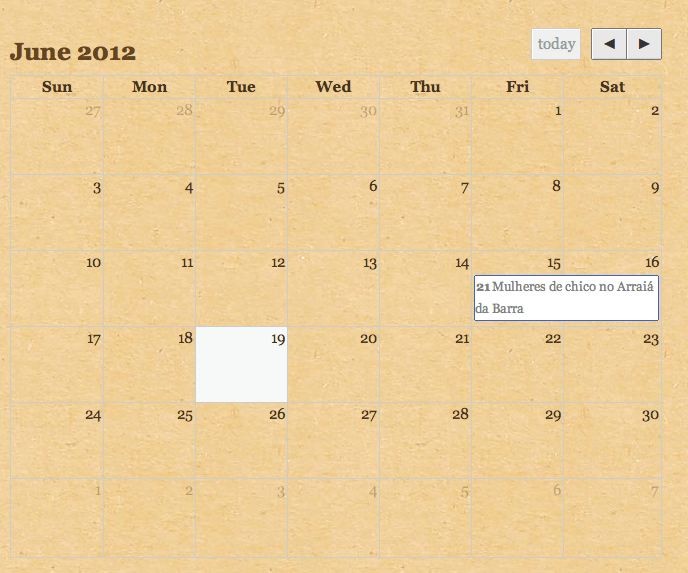 In the div with id wp-agenda-calendar will be inserted the whole calendar fullfilled with events inserted by admin panel. 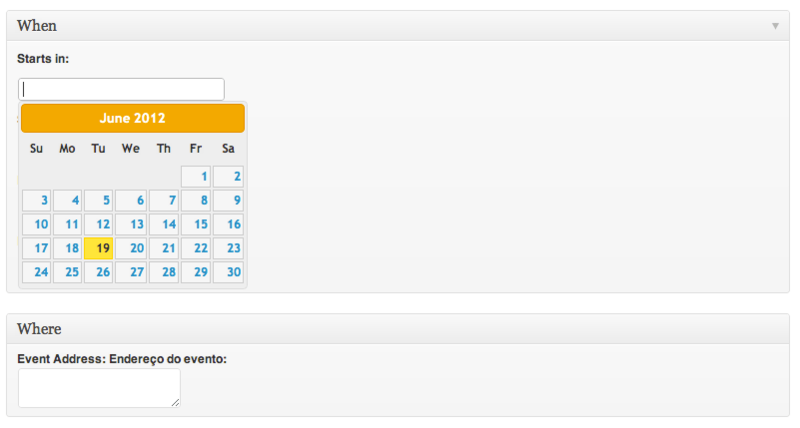 One Response to "Making wordpress events with wp-agenda"
boa noite Alexandre, tudo bem? cara, estou com uma dúvida, ja vi que algumas pessoas tiveram o mesmo problema, a pagina da agenda não funciona, ele simplesmente volta pra home quando eu coloco /?agenda porém quando eu coloco /?agenda/nomeagenda ele vai direto pro evento que criei. enfim, eu achei seu blog buscando alguma agenda que me desse a possibilidade de alterar para que ficasse desta forma: jellythemes.com/themes/sonoramawp/ achei muito interessante a forma que eles fizeram, enfim, será que consigo fazer exatamente isso? pois os campos que vc criou na sua são praticamente iguais!!!! Abraço, conheci um pouco do seu trabalho e gostei muito! parabéns pelo trabalho e pelo empenho de ajudar o próximo!